Srinagar: The National Investigation agency (NIA) which is responsible for dealing with terror cases in India and the National Security Guard (NSG) have found traces of RDX and Ammonium Nitrate from the blast location in Pulwama. The official confirmation of the quantity used will be established only after forensic reports. Sources from the NIA have stated that the car was stuffed with RDX and Ammonium Nitrate weighing not less than 200 kg. They also went on to say that very less amount of RDX was used in the blast. Sources have claimed that the RDX and Ammonium Nitrate was purchased just in the last 30 days. "Ammonium Nitrate is easily available and it seems that in the last four weeks this chemical was purchased from local markets. Meanwhile, RDX is a very restricted explosive only available with government agencies and may have been handed over through other terrorist outfits based in Pakistan," the sources claimed. Experts have also stated that the quantity of RDX would not have been very high as the impact of the blast could have been much higher. The agencies are also looking into the purchases of high quantity of Ammonium Nitrate in the last six months. "Plastic explosive doesn't require fire to trigger it. On the other side chemical like Ammonium Nitrate requires fire to trigger a blast," an NIA official said. It is also suspected that the terrorist outfit Jaish-e- Mohammad (JeM) used local network to collect explosives in large quantity over a period of time. "The amount of explosives used in the blast could not be collected in a day or two or even in a week. It seems that the terror outfit collected large amounts of these explosives through local network in not less than three months," a senior NIA official stated. The local police and the investigating agencies have now collected information of the number of people who purchased Ammonium Nitrate from local shops in recent times under the pretext of using it for agriculture purposes. The local police have been asked to gather information about local agents who may have helped the terror outfits in collecting large quantities of explosives. 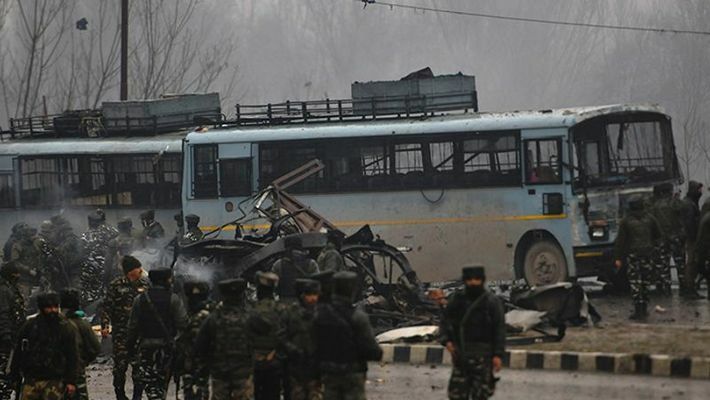 On February 14, an SUV carrying explosives rammed into a convoy carrying CRPF personnel in Pulwama. The attack martyred 40 CRPF jawans and critically injured scores.